As the voice of South cinemaai??i? ?s leading ladies, MM Manasi is taking the industry by storm. It was just another day at the recording studio for the music team of Nirnayam, the Raana Vikram and Regina Cassandra-starrer, in 2013. 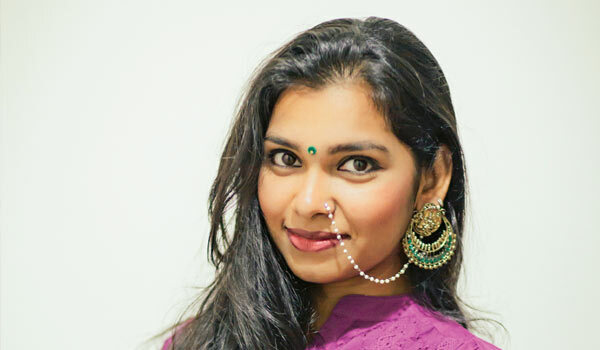 But for singer MM Manasi, it was the beginning of new innings. After her rendition of two of the filmai??i? ?s songs, the singer found that director Selvaganesh had other plans for her voice. A few dub tests and a little persuasion later, she ended up doing a voiceover for Cassandra. The talented artiste has since dubbed for over 40 films in Tamil and Telugu. ai?? ?I love experimenting and this has been a great career opportunity, aside from the fact that dubbing and singing are quite complementary,ai??? says Manasi. Having voiced for Trisha Krishnan in Kodi and Sri Divya in Kaashmora, both Diwali releases, the artiste speaks about her career change, trends in the film industry and much more. In a recent interview, Tamannaah Bhatia lauded Manasi for her work in her last four films, Baahubali, Thozha, Dharmadurai and Devi. Later, Krishnan took to Twitter to praise her work in Kodi. Ask her how she feels about all the appreciation and Manasi gushes, ai???Itai??i? ?s great when the actresses whose character youai??i? ?re trying to complete pat you on the back for a job well done. At the end of it, the character needs to be complete and authentic,ai??? she says. Gone are the days when dubbing artistes met the actors they were voicing to understand their body language and vocal patterns. Instead, now ai???itai??i? ?s all about understanding the character and getting into their shoes,ai??? says the management graduate from DG Vaishnav college. The artiste picks Baahubali – The Beginning (2015) and Radha Mohanai??i? ?s Uppu Karuvadu (2015) as her favourite projects to date. ai?? ?The former for its sheer scale and masculinity of the warrior princess, and the latter for the versatility of the two shades of a character (both played by Nandita Swetha). Devi also comes close,ai??? Manasi explains. Pondering the challenges of the profession, she sheepishly concedes that it hardly has a downside. ai?? ?I myself didnai??i? ?t know much about dubbing or the artistes behind the voices we hear on screen until I became one. Today people realise that a character comes alive with equal contribution from the actor and the voiceover artiste, and I am glad we are getting our due,ai??? she adds. She notes that Tamil cinema has come a long way, going beyond girlish voices to more personalised voiceovers for its leading ladies. She wishes to dub for Deepika Padukone someday, and will be dubbing for Nandita Swetha in Nenjam Marapadhillai soon.